36 new entries added to reading slogans, national reading month slogans, that include pictures. 1. On your marks, get set, READ! 1 On your marks, get set, READ! 2 I'm ready for reading! 3 Travel to the stars - read! 4 I'm off to see the world - read! 9 Enter a different world - read! 10 I'm out of this world - I'm reading! 14 Feel the need....the need to read. 15 Read! You'd be surprised what you find. 16 Travel to the stars, read! 17 Read...Its a need you can feed. 18 Enter a different world read! 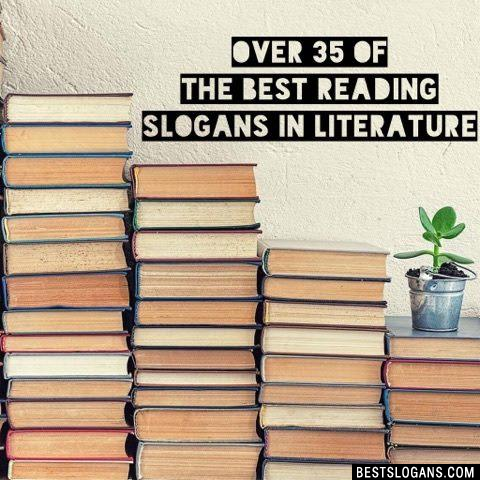 Can you think of a good Reading Slogans we're missing? Or come up with a clever one of your own. Please share below.